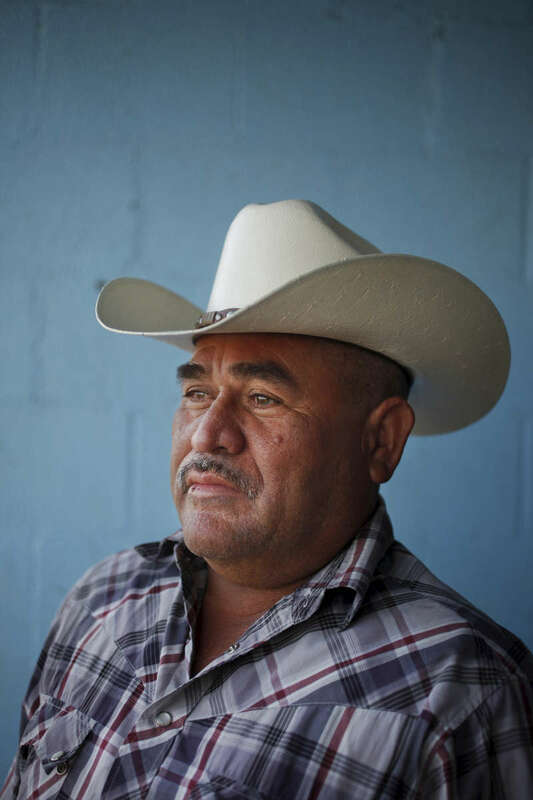 Field worker Francisco Velasquez, 54, pictured April 11, 2014 in Mendota Calif. Velasquez has lived in the U.S. for 20 years and though he has been able to find occasional work, he says there's a lot less work this year than there has been in previous years. He used to send $100 back to his family, now he can only send $50 a month. The historic drought combined with zero percent water allocation for farmers in the San Joaquin Valley means that many farmers are fallowing fields and many field workers are unemployed. In Mendota, a rural city of about 11,000 people about 35 miles west of Fresno, the jobless rate was at 36 percent in April 2014.